Baltimore, Maryland - BITHGROUP Technologies, Inc., a successful cybersecurity and systems integration company, is delighted to announce its acceptance by the U.S. Small Business Administration (SBA) as a HUBZone-certified company. The Historically Underutilized Business Zones (HUBZone) program encourages economic development and employment growth in distressed areas. The HUBZone program was created in response to the HUBZone Empowerment Act passed by the US Congress in 1998. By providing small businesses in urban and rural communities preferential access to federal procurement opportunities, the program promotes growth in areas with proven economic needs. Each year, the Federal Government has an annual goal of awarding 3% of all federal prime contracts to HUBZone-certified small business concerns. You can learn more about the HUBZone program at SBA.gov. Interested partners are encouraged to visit us at www.Bithgroup.com to learn more about our innovative technology solutions that can help you meet your business objectives. BITHGROUP Technologies works with Morgan State University Information Systems and Sciences System Analysis & Design Course Students to Improve Internal Efficiency. Baltimore, MD - BITHGROUP Technologies is working with Morgan State University and Professor Gregory Ramsay’s INSS 370 System, Analysis & Design Course students on five internal Information Technology projects to improve efficiencies. We will work with at least fifteen college students, juniors and seniors to assist us with evaluating and designing new systems for the following areas: (Customer Relationship Management, Constant Customer Contact, Mobile Fingerprinting, On-line Scheduling and Payments for Fingerprinting, Minority Business Enterprise Reporting). Seven BITHGROUP employees will be involved in working with the students (Laurie Hess, Kim Campbell, Chris Hawkins, Shenice Harris, Shani Amos, Saju Markose and Harry Holt). The Students will work through the entire system design process using an agile methodology using sprints leading to the creation of system designs. The students will hold a design fair at the end of the semester and BITHGROUP will have the opportunity, if they decide to implement the recommendations to work with the students during the Spring semester. Morgan State University offers an Information Systems and Sciences bachelor’s degree and is trying to enhance the overall student educational experience by offering hands-on custom design projects with actual customers on real projects. Morgan State University provides students with the opportunity to be career ready. BITHGROUP is an award-winning technology company based in Baltimore, Maryland. The company provides Enterprise IT, Health IT, Identity Services, Cyber Security, Digital Business Transformation Services and resell Hardware and Software to government and commercial clients. Baltimore, MD - BITHGROUP Technologies, Inc. participated in the Baltimore City Community College Math and Science Upward Bound Closing Ceremony for the Summer of 2018 on Friday, August 3, 2018. Harry William Holt Jr. from BITHGROUP Technologies delivered a key note address to the students, their parents, faculty and administrators. Mr. Holt told the students that education can change their lives. He then provided them with ten helpful hints from other famous, successful people about the importance of education, and how it can set the course of your trajectory in life. A few of these tips were: Believe in yourself, Education is your passport to the future, Education is freedom and build bridges, Education is the great equalizer and Through education the world is yours. The BCCC Math and Science Upward Bound program prepares students for pursuing education in the STEM arena. Also, BCCC helps students get into college to study STEM majors, help them get through college, and to get them started in STEM careers. The students participate on Saturdays during the school year and focus on Math and English skills while working towards enhancing standardize test scores along with, strengthening the student’s foundation for studying in the STEM area when they get to college. During the summer, the students participate in a six-week college residency program where they gain the experience of taking classes on a college campus. The participants are from area Baltimore City public high schools and range from ninth through twelfth grade. Students who have recently graduated from high school take summer courses at BCCC which they can transfer those credits to their respective colleges and universities that they will begin to attend in the fall. On Sunday, July 22nd at 11 am, BITHGROUP volunteered at The Baltimore Station by serving lunch to their residents. The Baltimore Station is a residential treatment program supporting veterans and others who are transitioning through the cycle of poverty, addiction, and homelessness to self-sufficiency. Lenise Blount (pictured above), and VP of Operations, Harry Holt, arrived at The Baltimore Station, bright and early to make and serve sandwiches for the clients that reside in and around the facility. To learn more about The Baltimore Station, please visit their website, https://www.baltimorestation.org/ . BITHGROUP Technologies will begin to provide fingerprinting and background check services to the Princes Georges County Public Schools System on July 1, 2018. These services will be offered at three separate locations in Prince Georges County. Location number one will be the Sasscer Administration Building located at 14201 School Lane in Upper Marlboro, Maryland 20772. Location two will be Hughes Barney Investigations located at 9315 Largo Drive West Suite 210 Upper Marlboro, Maryland 20774 and the third location will be E. House Executive Security Professionals, Inc. located at 4710 Auth Place, Suitland, Maryland 20746. Employees, Volunteers and Contractors will be able to go to any of these three locations to be fingerprinted. In addition to these three locations BITHGROUP will also be providing mobile sessions for the Prince Georges County Public Schools. BITHGROUP Technologies is excited about their ability to offer broader options for the Princes Georges County Public School Systems for their employees, volunteers and contractors as it relates to getting fingerprinted and background checking services. This new offering allows BITHGROUP Technologies to expand their fingerprinting services to a different part of the state. BITHGROUP also offers fingerprint services to the Baltimore County Public School System, Baltimore City Public Schools, the Department of Health in Washington, DC and at Eager Street in Baltimore City. On Wednesday, June 13, BITHGROUP Technologies along with partners ClearBlade, Dark Trace, Morgan State University, University of Baltimore and the City of Baltimore, hosted an inaugural conference on Digital Transformation with a focus on progressing businesses. The conference was held at the University of Baltimore, a hub for education and a local university focusing on the technology revolution. Throughout the day, attendees enjoyed presentations from a wide range of speakers covering a variety of Digital Transformation topics. CEO Robert Wallace anchored the presentations with a look at Disruptive Technologies and dove into the History of the Future. To close the day attendees mingled with speakers during a networking reception at the UB Student Center, which overlooks downtown Baltimore. At the reception ideas and discussions continued to flow around the topics of Digital Transformation. "The Digital Transformation Conference provided a great deal of confirmation of ideas surrounding where most organizations are with regards to DT," Harry Holt, BITHGROUP VP of Operations said. 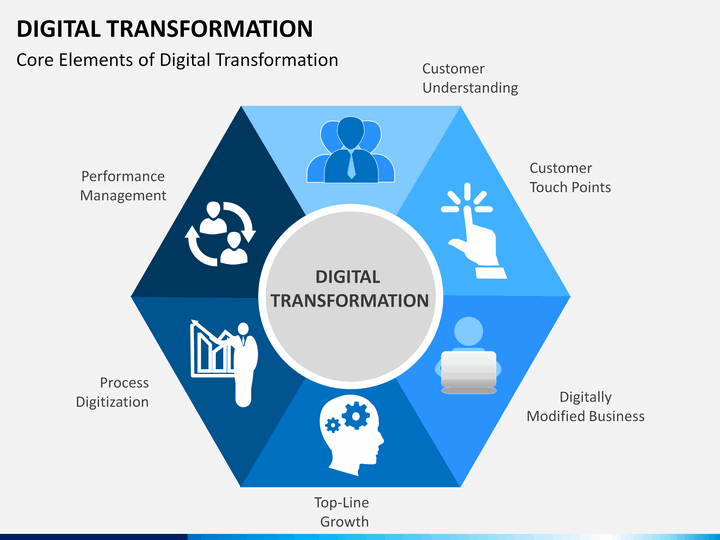 "There are a great deal of technical tools and resources available for organizations to take advantage of as they map out and implement their digital transformation strategies. This seems to be true across public and private sector organizations and across use case scenarios." The inaugural Digital Transformation Conference was a huge success and BITHGROUP looks forward to continue to help push the transformation of digital processees. A major cyberattack on the city of Atlanta in March shut down city computers for five days, exposing critical vulnerabilities in the government system. Just days later, Baltimore was hit with a separate ransomware attack that required 911 dispatchers to manually dispatch calls. In May, the Idaho Legislature website was taken over by hackers who posted a manifesto on its website. Harry Holt, vice president of operations at BITHGROUP Technologies in Baltimore, said he was not surprised to hear local governments worry that they don’t pay enough to attract top cybersecurity personnel. There simply aren’t enough cybersecurity engineers to meet the demand in the field, he said. But he believes partnerships with local universities could attract young talent to government. In the end, cybersecurity looks pretty similar for private and public entities. It comes down to the employees doing all they can to keep it secure, he said. When it comes to patient health records, employee information and data from medical technology devices, hospitals have a treasure trove of sensitive, private information to keep confidential. “The whole idea of having electronic records positions hospitals to provide better care and services to the patients they are working with, but at the same time, obviously, [there is a] risk associated with this information being shared in electronic format,” said Harry Holt, Vice President of Operations of the Baltimore-based BITHGROUP Technologies. Hospitals continue to be heavily targeted by very sophisticated adversaries including internationally based criminal organizations and nation states such as Russia, China, Iran and North Korea. Sometimes nation states working in collusion with criminal organizations to target health care and hospitals. As smaller, quicker and easier technology drives more connectivity for devices and systems, executives say smart companies large and small can leverage those advancements to create opportunities for growth. As technology continues to evolve, Holt says it is imperative for companies to stay on the cutting edge for their businesses. An early warning of impending system failure could spell the difference between business as usual or a company-wide catastrophe. Digital Transformation has been a term that has been tossed around, especially in the past few years. Consumers and employees are interacting with businesses in new ways forcing organizations to rethink the way they use technology and data. Digital Transformation is all about empowering your employees, engaging your customers, optimizing your operations and transforming your product through systems of intelligence. There are obviously many ways to do this and many tactics to consider when thinking about how to restructure your business practices. At the Digital Transformation Conference hosted at the University of Baltimore on Wednesday, June 13, participants will get the chance to hear from a wide variety of Digital Transformation experts. How effective if your organization at leveraging data and analytics to power your business model? Do you understand your organizations key business initiatives and how they benefit data? Do you have business stakeholders as active participants in setting your use case roadmap? Do you understand the economic value of your data and how that affects your technology and business investments? Do you understand how to create a platform that exploits the economic value of your data? Don't miss the chance to network with industry leaders, learn about how technology can help your business and walk away with a plan for success! The Internet was born in 1990 in the United States and Silicon Valley embraced it almost immediately. But since then, it’s traveled across the world faster than your free-spirited nomad friend on Instagram. The internet was invented in America, but the world was very quick to adopt it and in the last decade new tech hubs all over the world have popped up. There’s Silicon Alley in New York; Asia, Israel and India have all become hubs for tech, and that’s just a few examples. Eastern Europe has rapidly become a center for innovation too, thanks to an increasing pool of entrepreneurial tech talent. The region has scored a host of successes in recent years, from Estonia’s Skype and Transferwise to Ukrainian facial recognition start-up Looksery which was acquired by Snapchat for a reported $150 million, the largest technology deal in Ukraine’s history. Digital innovations are creating opportunities quicker and quicker every day. And businesses in every industry need to utilize technological advances to not only stay competitive, but to survive. Let’s take a closer look at successful strategies businesses are using to say ahead of the curve. On Wednesday, June 13, join BITHGROUP Technologies and CLEARBLADE at the University of Baltimore as we bring together business leaders and industry experts to explore what it takes to get your business to the next level through digital transformation. Click to learn more about two of our wonderful speakers. On Wednesday, May 9, Robert Wallace spoke at Pandora Music's Headquarters in New York City about Disrupting Business and Entrepreneurship in an event sponsored by his alma mater, Dartmouth College. Dr. Wallace spoke about creating BITHGROUP Technologies and Bithenergy, two successful companies which have proven business in each of their respective fields. Dr. Wallace also highlighted his rise from the Baltimore projects and the important of developing successful businesses in inner-cities. Wallace says this approach allows him to visit locations around the world and to “feel, touch, see, smell, and experience” the entrepreneurial reality and energy of the global community through the eyes of a world traveler. Not content to conduct this research from a purely academic and research perspective, Wallace said he decided to take a novel approach. With the assistance of his wife and staff, he decided to take a sabbatical from his role as founder of BITHGROUP Technologies, Inc. and CEO of Bithenergy, Inc.
BITHGROUP Technologies is thrilled to announce the addition of Shenice Harris as Regional Identity Services Manager. Ms. Harris’s strong leadership and management skills will continue to support BITHGROUP’s strategic development by assisting to meet project commitments. BITHGROUP Technologies' Vice President of Operations, Harry Holt, participated in the BWI/Synergy Conference on April 30th, 2018. Presenters also included, Chief of Planning & Engineering, Paul L. Shank, P.E., C.M., and President of MD Washington Minority Companies Association, Wayne Frazier, Sr. The information session covered practices and tactics for companies to become partners and sub-contractors. Panelist discussed the best practices for leveraging public data and government sites for teaming partners, competitive intel and contact information. In the end, attendees walked away from the conference with actionable items to implement in their business plan. For more information about BWI/Synergy Conference, please visit: http://synergybwi.com/. Fittingly, during Small Business Week the Initiative for a Competitive Inner City (ICIC) launched their kick-off information event in Baltimore, as they set to offer an Inner-City Capital Connections (ICCC) program for businesses in Baltimore City. The initiative positions inner-city businesses for long-term success through consulting, education and mentorship. Maryland is the tenth city participating in this series, which is sponsored in part by Kaiser Permanente and the City of Baltimore. The kick-off informational breakfast was hosted at the Vollmer Center at Clyburn Arboretum by Paul E. Taylor, Mayor's Office of Small, Minority and Women Businesses, and featured remarks from Mayor Catherine E. Pugh, Kim Horn, Kaiser Permanente, Steve Grossman, ICIC, and representing BITHGROUP, Bithenergy and Robert Wallace was Coretta Bennett.